The Test n Tag Pro is an extremely lightweight and portable battery powered label printer which prints durable synthetic asset labels for PAT testing. 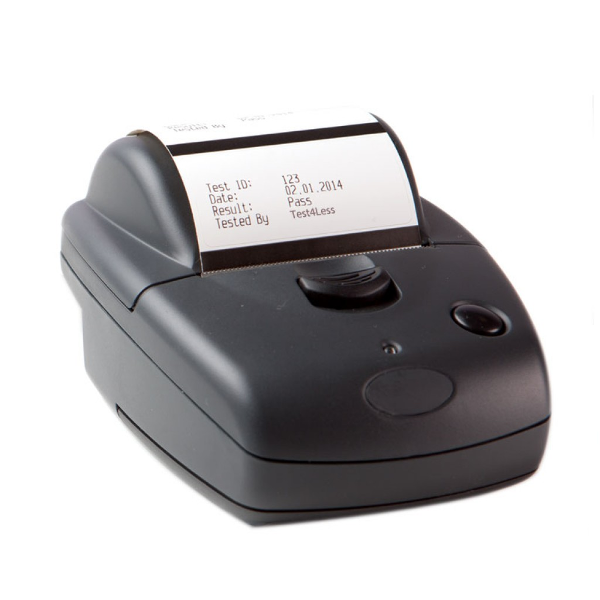 The Test n Tag Pro is an extremely lightweight and portable battery powered label printer which prints durable synthetic asset labels for PAT testing which can include barcode, asset number, test date, next test date, user name and test status (dependent on which PAT tester is being used). It can be used with a rechargeable battery pack or primary cells. Available with serial only or serial and Bluetooth connection, the Test n Tag Pro is ideal for use with the Apollo series testers (via Bluetooth) or PrimeTest 250 Plus (via serial cable). Note: Please be aware that use of non-Seaward approved labels can prematurely wear the print heads of Seaward printer and so will void your printer warranty.